The Left Democratic Alliance (LDA) wants the schedule for the 11th Parliamentary Election to be scrapped describing it as ‘lopsided’. 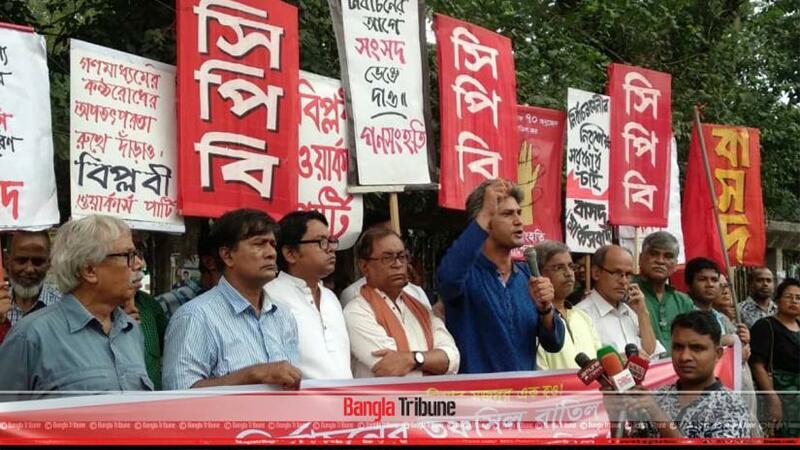 At a rally in Dhaka on Saturday (Nov 10), the coalition of eight leftist parties called for a fresh schedule upon consultation with all political parties. “Another dark chapter will be created if the people’s right to vote is stanched as it happened in the 2014 election,” LDA convener Saiful Huq told the rally in front of the press club. “The government doesn’t bother on the next national polls rather it’s mulling (the victory in) the 2013 election,” he said quoting a government official, whom he claimed to have met at a tv talk show. “So, it makes clear that result of the 11th Parliamentary Election has been fixed and only the formality remains left. “To finish the formality, the government hurriedly announced the polls schedule,” said Saiful, the Biplobi Workers’ Party general secretary. On Nov 8, Chief Election Commissioner KM Nurul Huda announced the schedule for the general election setting Dec 23 for the voting. The Commission also fixed Nov 19 as the deadline for the submitting the nominations, which will be scrutinised on Nov 22. The deadline from pulling out of the race has been fixed Nov 29. Prior to the announcement, the CEC ruled out the possibility of deferring polls. “It can only be rescheduled if all political parties of the country demand the polls to be postponed; not when the demand is made by one party,” Huda told the media on Nov 6. Hours after Huda’s remarks, Awami League President and Prime Minister Sheikh Hasina had sat in a dialogue with a 16-member LDA delegation over the next general election at her official residence Ganobhanan.